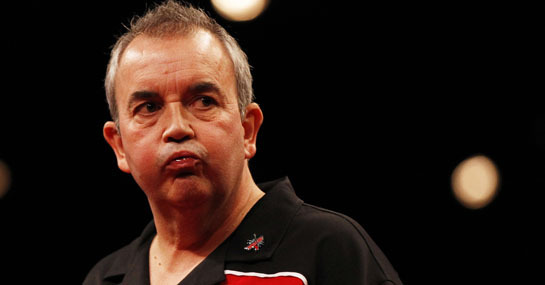 Phil Taylor is the greatest player ever to throw a dart. He has won 15 World Championships and amassed millions of pounds in prize money. Such is his dominance of the sport that Ladbrokes are offering some brilliant odds on Taylor against every other player who will take to the oche at the Alexandra Palace showpiece this Christmas. Taylor can be backed at a pretty decent 1/1 to win the tournament and, obviously, at the same odds to triumph over the rest of the field. However, whilst those are pretty tempting odds, the rest of the field can be backed at 4/5 to win the tournament. That means if any player other than Taylor claims the title, Ladbrokes will pay out. There can be no doubt that Taylor is the rightful favourite and that it will take a special effort for him to be defeated but – as we saw last year – he does have a rare off day. Taylor was defeated by Welshman Mark Webster at the quarter final stage in last season’s event and has ‘only’ won the tournament twice in the past five years. He was defeated by Raymond van Barneveld in 2007 and Wayne Mardle dismissed him at the quarter final stage in 2008. ‘The Power’ is far from unbeatable and the 4/5 offered for anyone else in the field to win looks an incredibly tempting proposition. However, if you like your odds a little longer then last year’s winner, Adrian Lewis, can be backed at 7/1 to win, while losing finalist Gary Anderson is out at 8/1 to go one better and claim his first World Championship.